Jay and his peeps had their fantasy football draft on Sunday. Have any of you people done that? It usually involves men “escaping” their wives (in jest, they’re not actually horrible husbands), drinking too much, smoking, lying about smoking, and coming home too late on a Sunday night, which works fine for me because I get to watch 8 hours of Breaking Amish (anyone else?) on my own without huffy sighs of how dumb it is. ….and thus begins a new round of football food to celebrate fall. 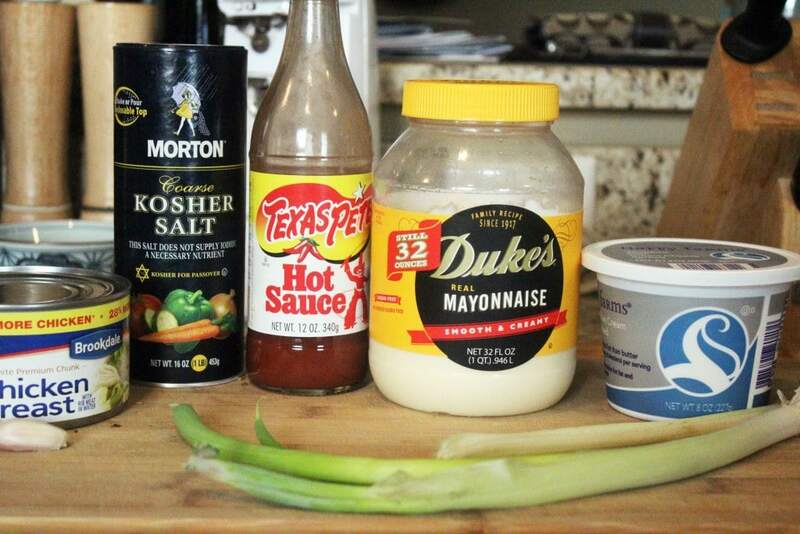 I recognize that salad dip isn’t really a thing, but I want you to know that there are multiple things that can be done with this here little creation. 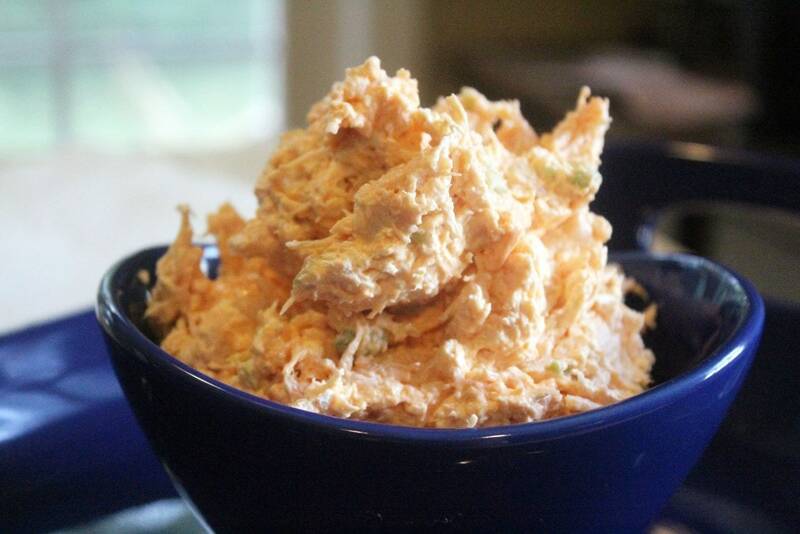 It’s like the buffalo chicken dip that I make and serve hot, sort of, but has cream cheese as the base, which is nothing short of epic. 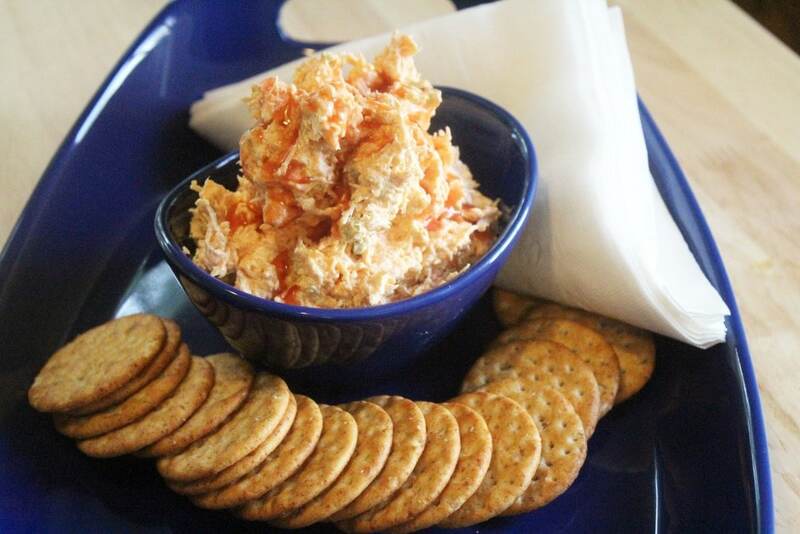 TRUST me, you want cream cheese with your buffalo chicken from now on whenever you can get it. 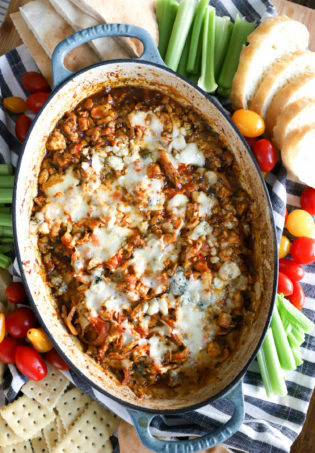 The other great thing about this dip is that you can make it in 10 minutes. Really. 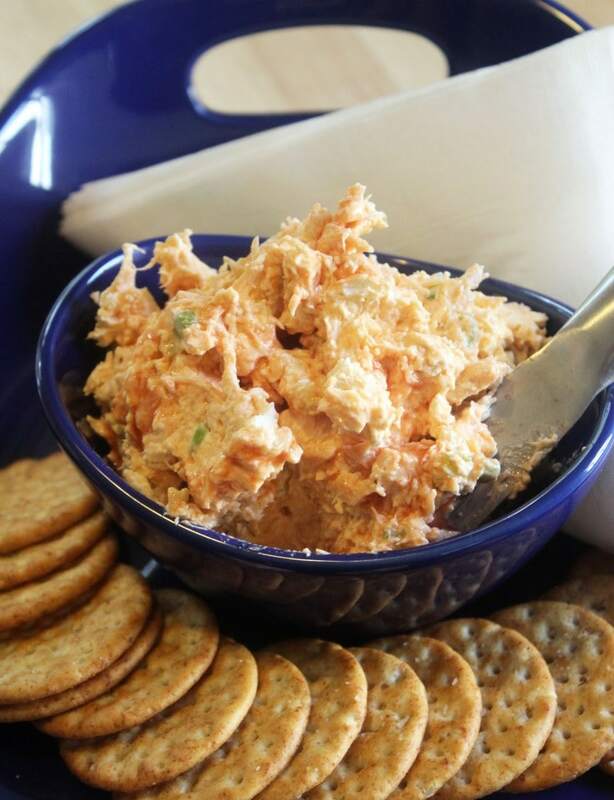 Canned chicken is a great timesaver, and goes well with the quasi-processed feel of this dip in general. 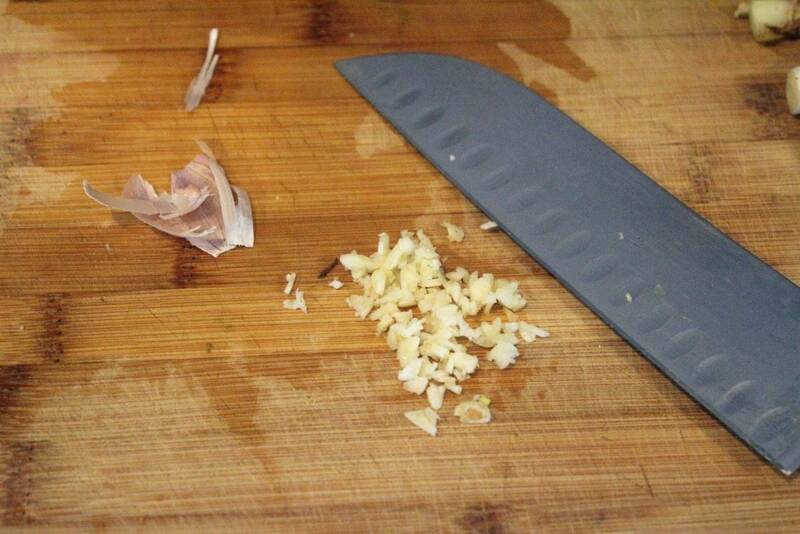 If you feel like poaching your own chicken, feel free to do so – 1 small shredded breast should be fine. 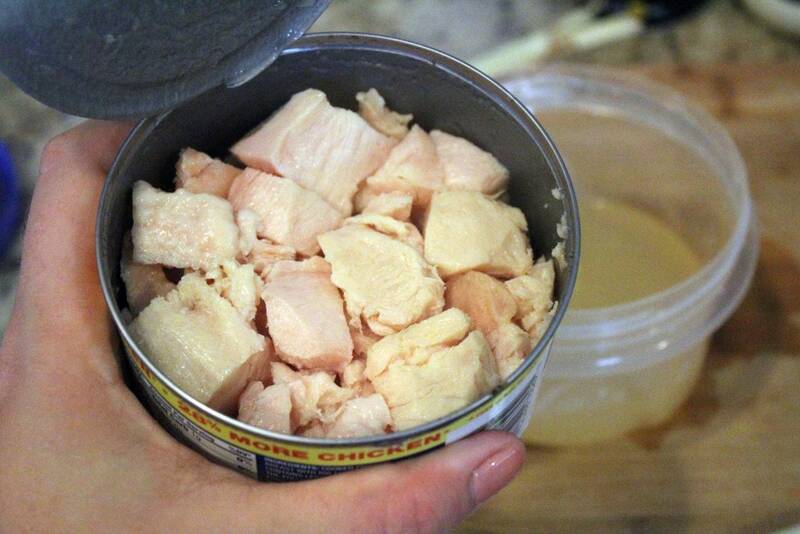 The canned stuff, though…..it’s worth it. 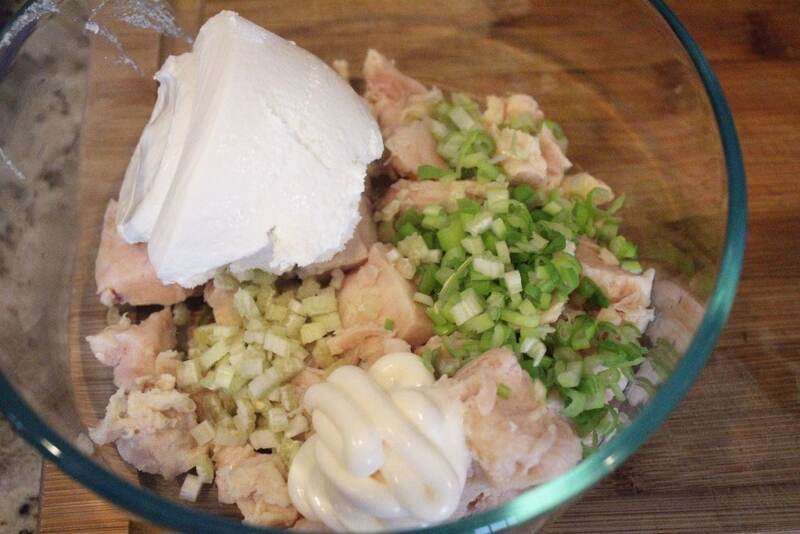 Besides canned chicken, you need salt, whipped cream cheese, mayo, 1/2 rib celery, 1 clove garlic, and 1 scallion or a small chunk of onion. 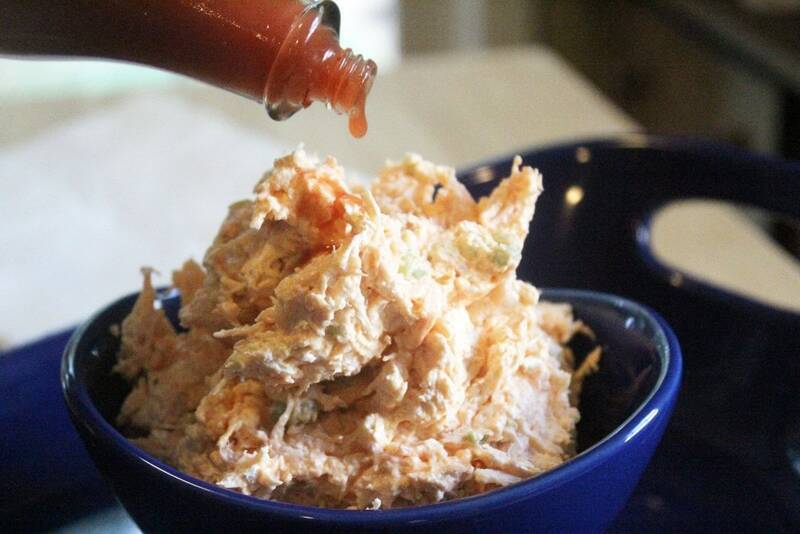 You also need hot sauce to make this buffalo instead of “cream cheese based chicken salad.” I like the whipped cream cheese in this for the dip factor, but use regular if that’s all you’ve got! For prep, we just gotta deal with the veggies. 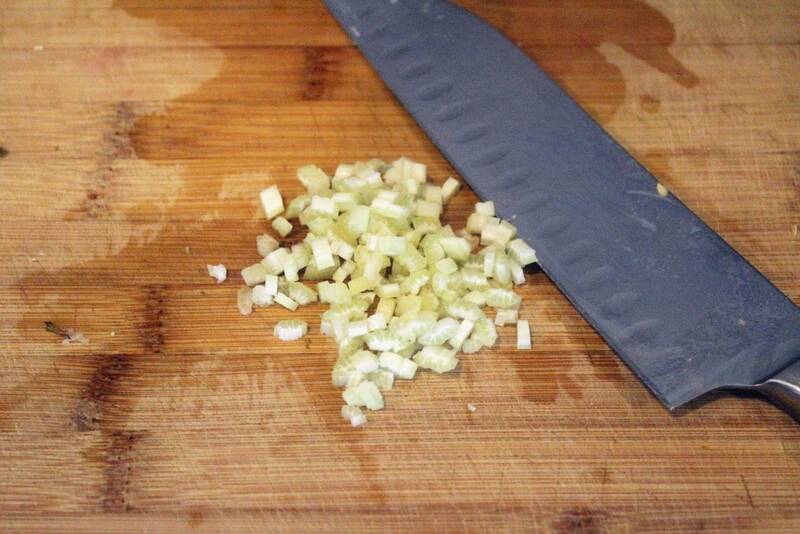 Cut the scallion into thin strips. Then, cut the strips into small bits. We’re going for small veg here, kids – to make a smoother dip. 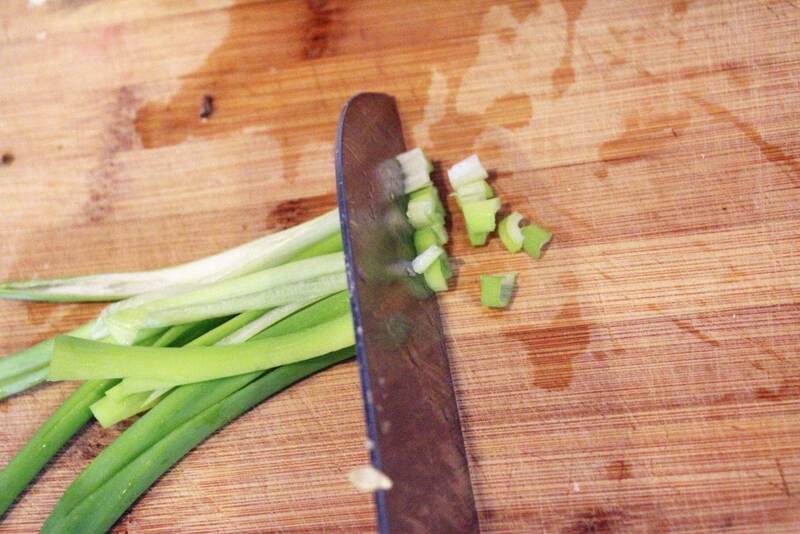 Same with the celery – cut long skinny strips, then chop into bits! Mince the garlic finely too. 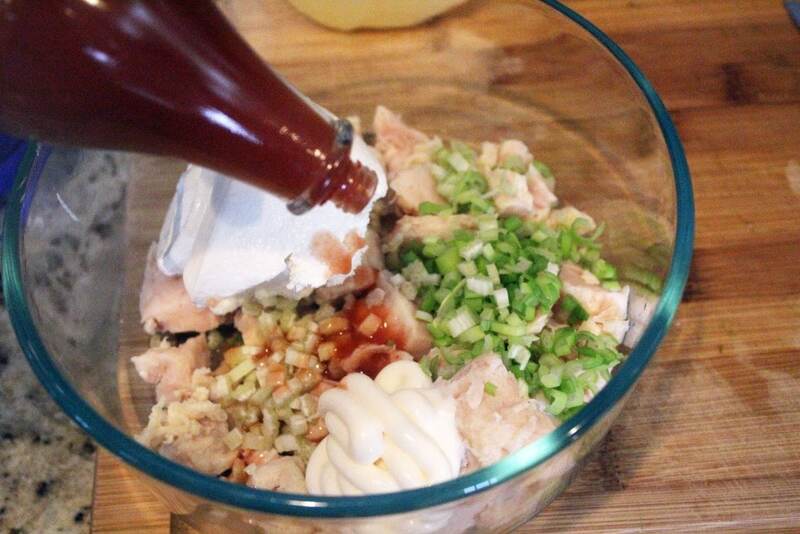 Now, add the chicken, mayo, cream cheese, and veggies to a large bowl. How much hot sauce you use is up to you! 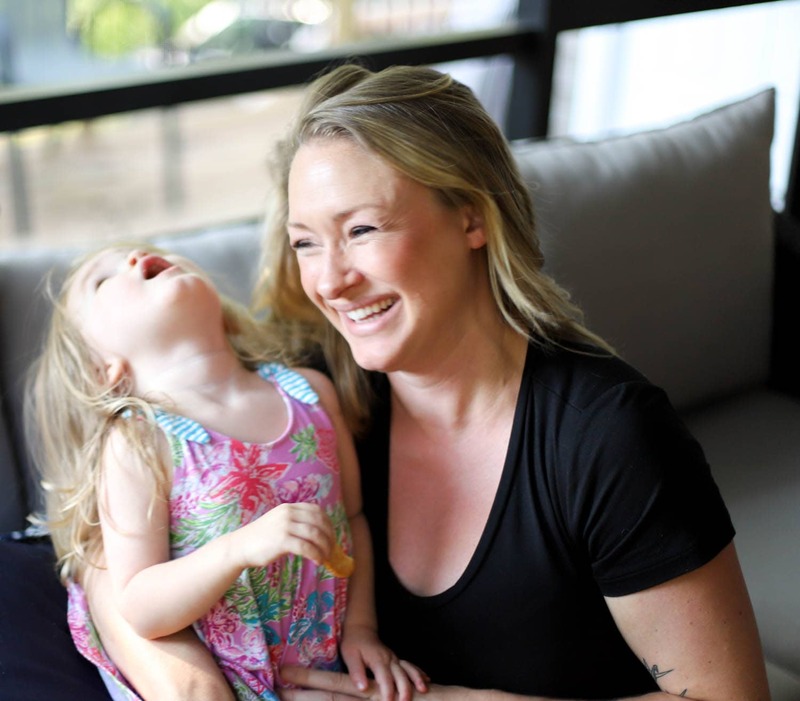 I start with 1 tablespoon, taste, then add more to my preference – 1 tablespoon is good for me, 76 tablespoons are Jay’s preference so…we meet in the middle. Combine the dip lightly with a fork, and taste. Add more hot sauce or salt to your preference. YUM! That’s it. 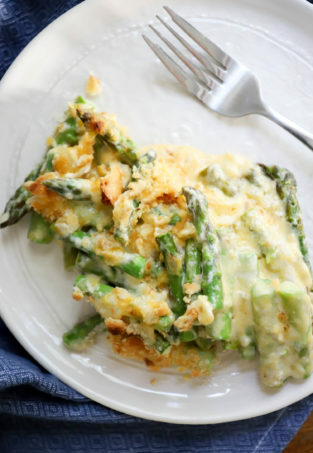 You can eat this right away, or store it in the fridge for a day or two before serving. Just fluff it up with a fork right before serving. And if you REALLY want to go nuts, PLEASE drizzle some more hot sauce over the top. 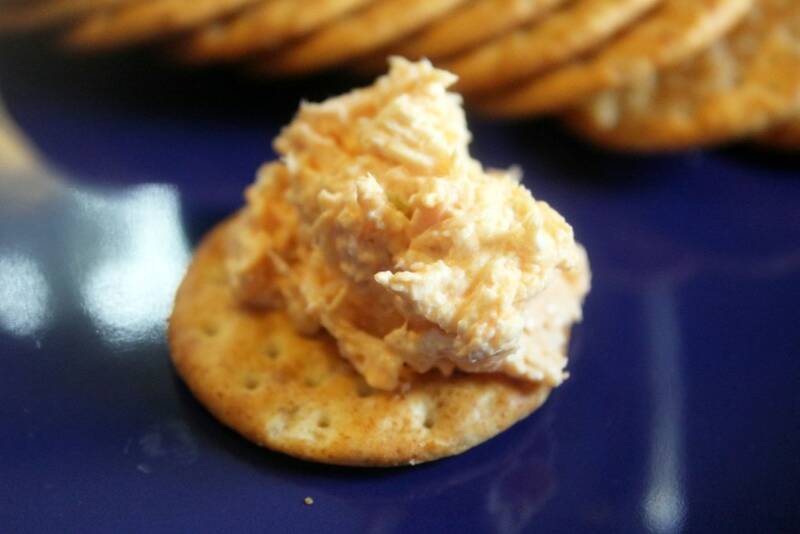 It adds a nice kick to individual bites – the tang over top of the creamy cheese and salty chicken is really great. Keep in mind, if you want to sub sour cream for the mayo that’s always fine – we’re just going for a bit of creaminess to smooth out the dip – the flavor isn’t really the issue. I like this served with crackers, but WHAT ABOUT on a sandwich? Or on a baked potato, kind of melted? I think this just became my new favorite thing ever. Enjoy this, friends! 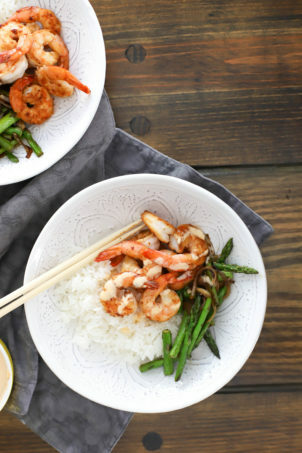 It’s so simple, but the flavors are stupendous. 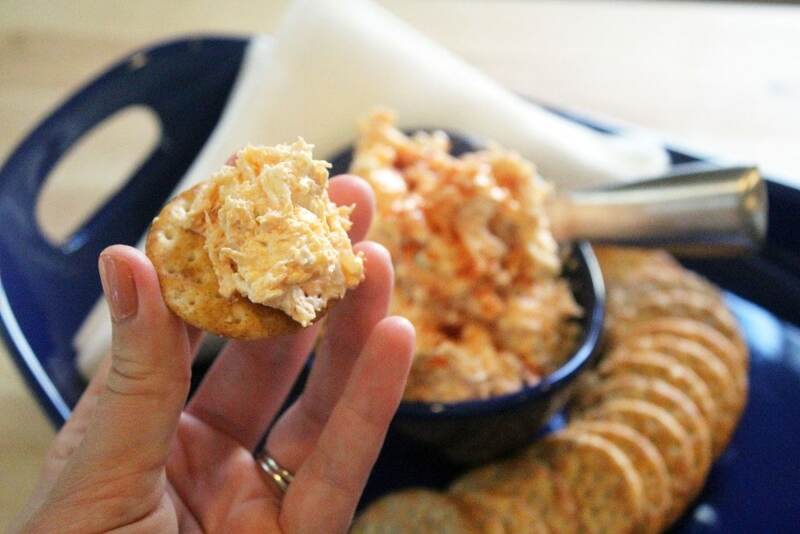 I’m ready for more football food – what’s your favorite thing? We need some fun new ideas for fall! 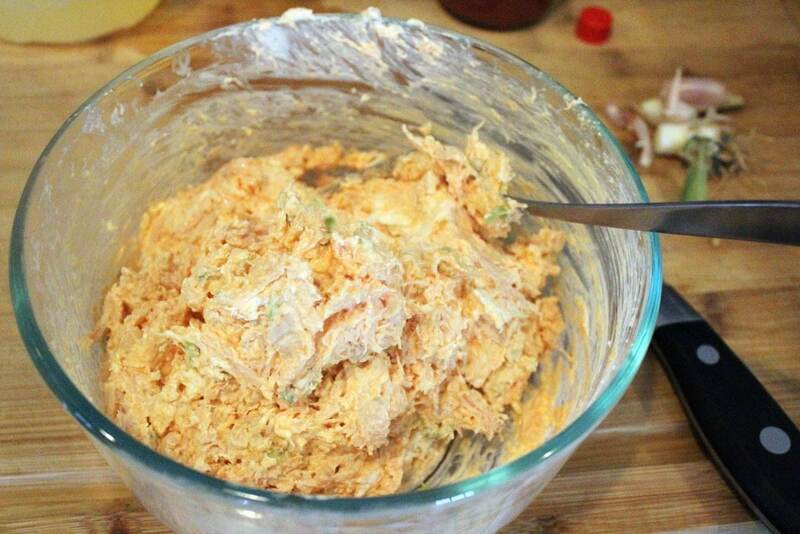 Combine the chicken, vegetables, cream cheese, mayo, and as much hot sauce as you'd like gently with a fork. Taste, and add more hot sauce or salt to your preference. 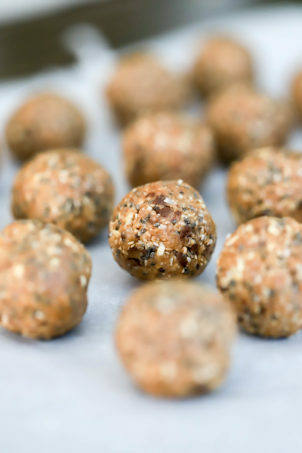 Serve immediately as desired, or store in the fridge for up to two days.